By an odd set of circumstances I have seen seven species of owl in Minnesota since Jan. 1, and not one of them has been a great-horned owl. The first owl of 2018 was my neighborhood Eastern screech owl that has a reliable roost in some cedars. Then I’ve seen some of the many snowy owls around the state. One night I was walking home from the grocery store and a barred owl flew down and almost attacked my grocery bag. I was at a meeting and noticed the property surrounding it was good for northern saw-whet owls, and – sure enough – after the meeting ended I found a saw-whet. 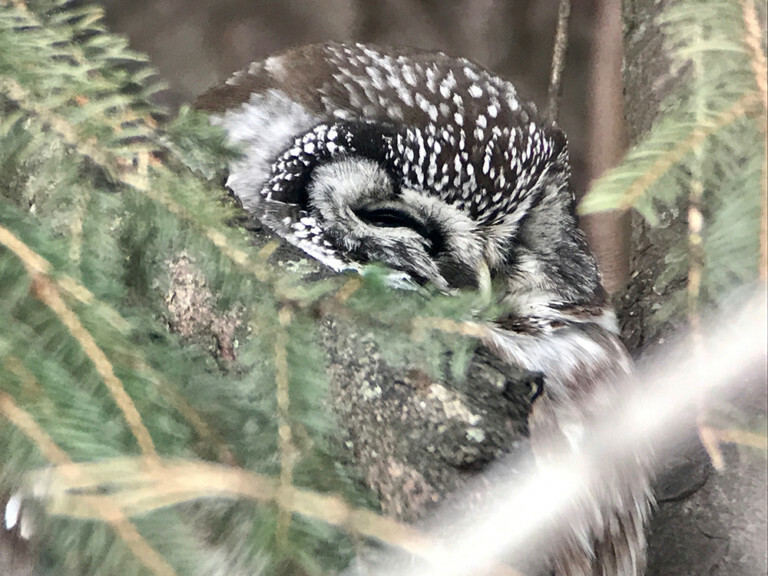 It seemed like a good time to go visit Sax Zim Bog and the surrounding areas to find northern owls, and I counted five great gray owls and one northern hawk owl. 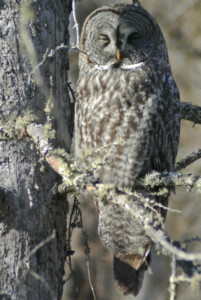 One of five great gray owls the blogger and her friends saw on a recent outing. Several photographers in my social media circle were posting owl sightings, and people who hired guides for the winter were chalking up three to four species of owls on their trips. No one, however, is sharing the exact locations online. When I started asking around for tips of which roads to hit before my trip, people would clue me in, but they’d add, “Keep that to yourself.” In the past, I’ve used eBird to see where people were viewing owls in the bog, but owls are now classified as “sensitive species.” When birders report owls, they only show up in eBird as being seen in the county – not necessarily the specific park or location. On the one hand, I understand the reason for the secrecy: People want to avoid overwhelming the birds with crowds. 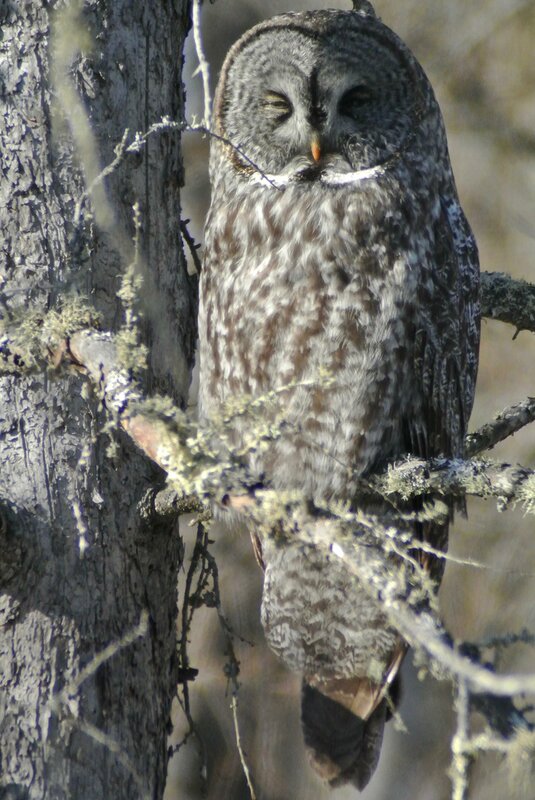 But when I began to chat with people who had already been north about where they saw owls compared to where I saw them (and the quantity of owls), it dawned on me that we are having a bit of a northern owl irruption this winter, especially with great gray and boreal owls. And it would be a shame if people missed the chance to experience what it’s like to see these birds. I can’t give you exact locations, but I’ll say this: If you have ever considered visiting the Sax Zim Bog Bird Festival or thought that someday you should hire a guide to show you around the bog, this is the year. If you are someone who lives in a northern state where there are lots of fir, balsam, and birch near a meadow, I’d advise watching that site for a great gray. Check every cluster of cedars and pine trees near water for boreal and northern saw-whet owls. I think there are more of these northern owls out there, but they’re flying so low on the radar that few people are looking for them. The Friends of Sax Zim has great information to help you get started in planning a trip. If you’ve never visited the bog before, guides are helpful. The bog is huge; sometimes you can go miles between stops without seeing a bird. 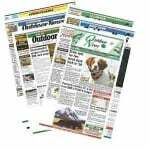 If you don’t know the general areas to search, it can seem overwhelming. If you can’t afford a guide, there’s a winter driving map and you can check in with the welcome center when you arrive for tips.